USA Flag 3D Animated Background Loop. Royalty free USA flag looping 3D animation. Footage is available in HDTV (1920 x 1080) resolution, standard NTSC and PAL, WMV for Powerpoint and web optimized resolutions. EXCLUSIVE product. 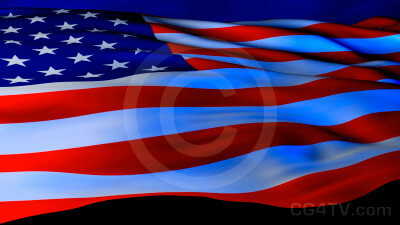 USA Flag 3D Animation is only available from CG4TV.com. We don't have resellers or representatives. This product that can not be purchased elsewhere. Delivery: You can download it immediately. She's a grand old flag, she's a high-flying flag and forever in peace may she wave… There’s not a more recognized symbol for the United States of America and the American spirit than the American Flag, also affectionately known as 'The Stars & Stripes', 'The Star Spangled Banner' and 'Old Glory'. Notice the attention to detail in this American Flag 3D Animated Background. We employ 300 frames in order to achieve the smooth undulating ripple effect of the constantly flowing wind. The American Flag Animated Background is particularly useful during American holidays such as Memorial Day, Flag Day - and of course the 4th of July, America’s Independence Day. 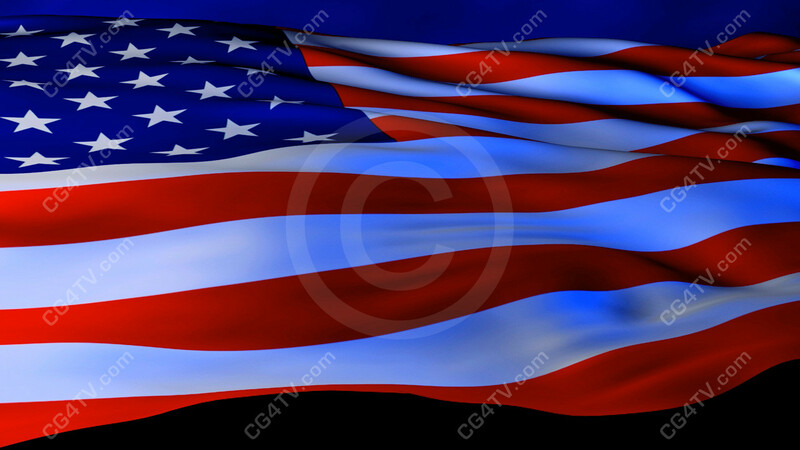 This American Flag 3D Animated Background will also serve well when covering major American governmental elections where the flag is always flown; and it’s perfect for use in conjunction with any United States activity at home or abroad where the American Flag appears. With so many opportunities to use an American Flag Animated Background, shouldn't you have one in your background archive? This American Flag Animated Background is available in both High (1920x1080 30fps) and Standard (NTSC 720x486) Definitions. And we're constantly adding to our stock animated background collection so you're sure to find just the one you need. But if you don't find the one that works for you, please contact us at info@cg4tv.com. We're always open to suggestions for additions to our catalogs. CG4TV.com is your virtual art gallery. 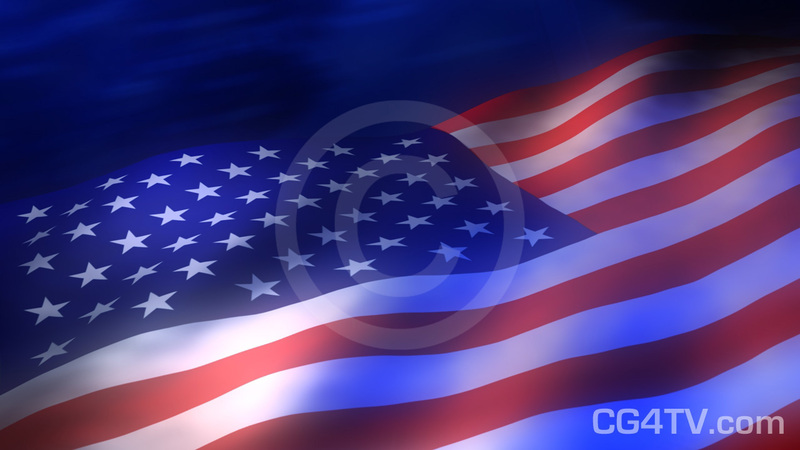 Order your American Flag Animated Background and download it immediately with just a few simple clicks of your mouse!